Smart commuting saves costs, improves employees’ health and work fitness as well as reinforces the company’s image and social responsibility. 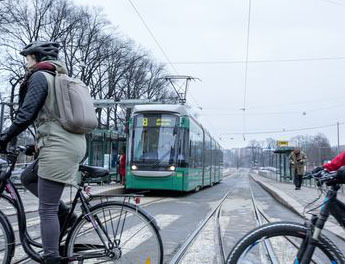 Smart commuting means using sustainable modes of transport: walking, cycling and public transport. Ride-sharing and car-sharing instead of driving alone make car journeys smarter. HSL offers employers tools for promoting smart travel, such as smart travel start kit, Commuting Calculator and employer-subsidized commuter ticket. By planning and incentives, employers can reduce journeys made alone by car on average by 20-30 per cent: the flow of traffic improves, emissions decrease and costs incurred by driving decrease. Commuting exercise improves the health, wellbeing and work fitness of the staff. In addition, supporting smart commuting is an asset for recruitment and provides image benefits. Calculate your company’s mobility costs and possible savings! Invite our expert for a visit! Book a staff information session!